Anyone who has listened to a few episodes of the superb comic book podcast MOMBcast (if not why not, you can download it from this very site!!) will know that I’m a keen Tintin fan. Indeed so much so that for the last two years on a regular basis I’ve been spotlighting the series of comic book albums on the show. The series of podcast reviews actually came about as a reaction to news of the film. 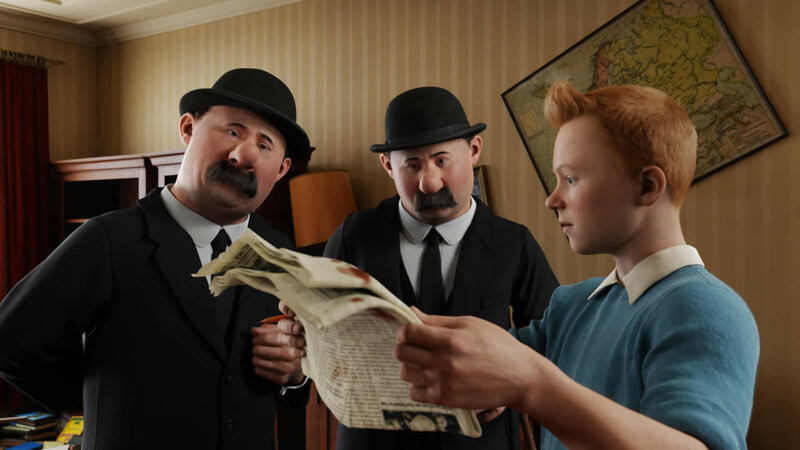 I felt that if we were about to see Tintin finally given the fullHollywoodtreatment then I was keen to discuss the material that had inspired it. Confident as I was with the creative team of Stephen Spielberg and Peter Jackson Directing and producing, and a writing team of Steven “Dr Who” Moffat, Edgar “Spaced” Wright and Joe “Adam and Joe” Cornish, even the most beloved of properties can come out looking rather limp and tattered after a spin around the Hollywood machine. So then going to see the film adaptation of “Secret Of The Unicorn” came with a mixture of excitement and trepidation. I’m not a purest by any stretch of the imagination, but care deeply about the spirit of the books. However any fears were quickly abated. The opening scene sets the stall out of the creators, with a homage and cameo for Herge, the drawthor of the books. It’s a touching scene, and starts off an opening sequence in which the cookies for the keener fan are thrown at the screen in rapid fire succession. In fact there are so many references that I actually found myself distracted and watching for the next reference rather than picking up some critical plot points, which, are significantly altered from the source text. The story is an amalgamation of the mystery story found in Secret Of The Unicorn, and the action adventure book Crab With The Golden Claws. The combination makes sense for a couple of reasons. Crab With The Golden Claws is the first book in which Tintin meets Captian Haddock. Being the first movie it makes good sense to join them together in what would be for any other comic book character the “origin” tale. Also the adventure elements replace some of the exposition from Secret creating an union of stories that makes a more palatable feast for a movie going audience. As much as I love the original text, I fully agree that they need “spicing up” for the purely visual medium. There are fundamental changes made to the story line as a consequence of the adjoining of stories, but all of them worked very well. The biggest is the central villain Saccharine. With a much smaller part in the books he replaces the Bird Brothers here, and is given a much-tweaked back-story that puts him in direct conflict with Haddock. Although this is a little jarring at first his characters motivations make perfect sense, and he is a wonderfully realised and rich scoundrel. So the story is good, and serves as a highly enjoyable adventure romp that has rightly suggested that it’s an awful shame that Spielberg didn’t bring the same sensibility to the last Indian Jones movie, however that’s somewhat of an aside. Story works just fine. The other reservation I had though was that it was a motion capture animation. 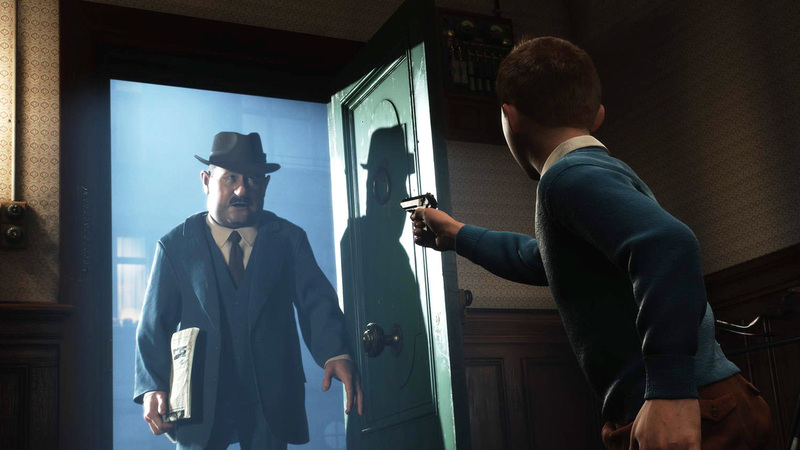 Polar express was my last experience of it, and it took me several years of therapy to recover from that. The dead eyes, you see, chilled me to the core. No such problems exist here. Not only are the eyes full of sparkle but the performances of the actors are realised in a gorgeous, lush, rich world, so detailed that its hard to believe that you’ll ever be able to watch this enough times to take it all in. It gives proceedings a lovely altered reality that is befitting the tale it’s telling. It is a triumph in my opinion, and may well come to be seen as the film that proved the concept. There were moments where the animation did look a little jarring with bodies or objects moving in a way it was hard to believe they should, but this was pretty much all confined to the final action set piece, and the action is so frenetic that its easy to forgive any tiny lapses. 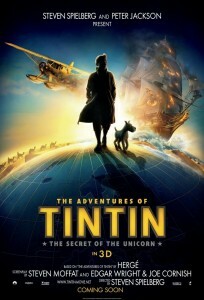 In fact the set piece at the end is maybe the most remarkable 10 minutes of blockbuster cinema I think I’ve seen for a while, Haddock and Tintin pursuing Saccharine and his men to retrieve the all important documents, its breathtaking in its complexity, and leaves the viewer literally on the edge of our seat. Although its takes some artistic licence with the story at that point it is a true piece of spectacle that only that medium can deliver. Unfortunately the final confrontation doesn’t quite live up to the expectation levels this piece creates but it’s a fitting end to the tale, and certainly doesn’t detract from the head spinning journey we have taken previously. I hope most Tintin fans will accept that this is as close as any of us are going to get to a truly faithful adaptation of the series. Decisions had to be made to fit this into the medium and for the most part I feel they are good ones. If its straight adaptations you want then the excellent Nelvana series will be there, but for real purists I suggest watching those and taking some time to consider how those would look, and feel on a big screen. Good they are, cinematic they most certainly aren’t. Ultimately we all still have the books, but what we also have now is a superb companion piece. A great review. Thanks very much.